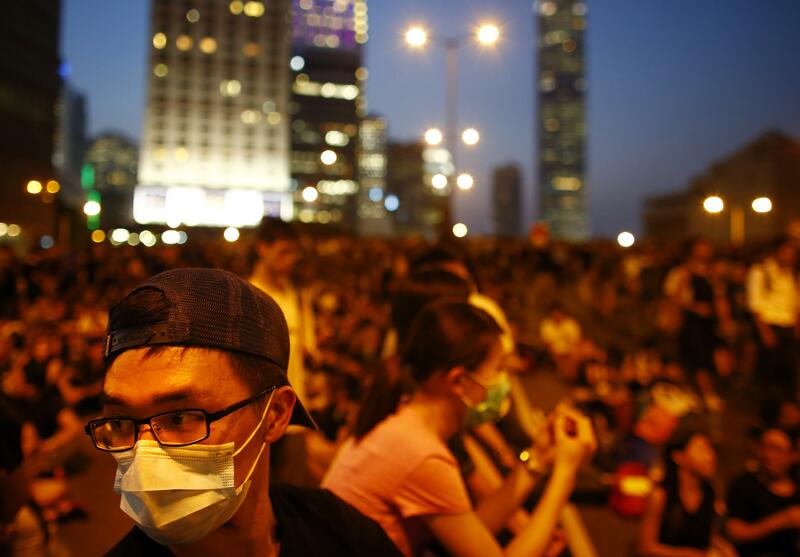 Hong Kong protests: Social media blocks set up. Taken today in Hong Kong’s Central district. Police fired tear gas at protesters this weekend. Organisers have said that as many as 80,000 people have thronged the streets after the protests flared on Friday night. No independent estimate of numbers was available. On National Day, demonstrators are also expected in nearby Macau, also a former foreign territory.